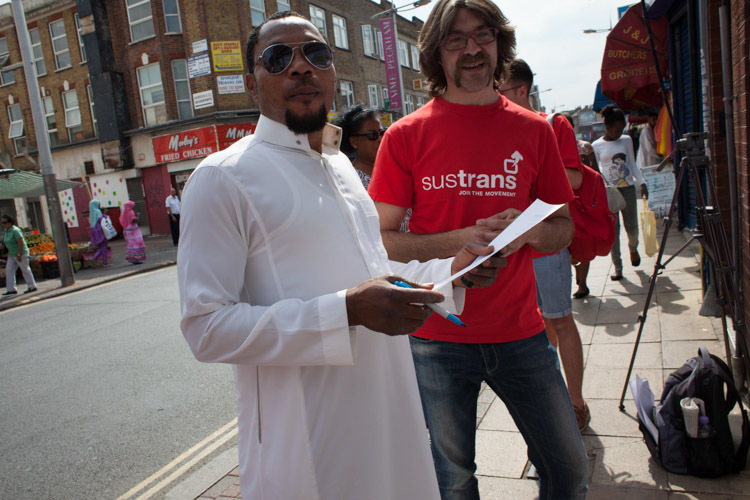 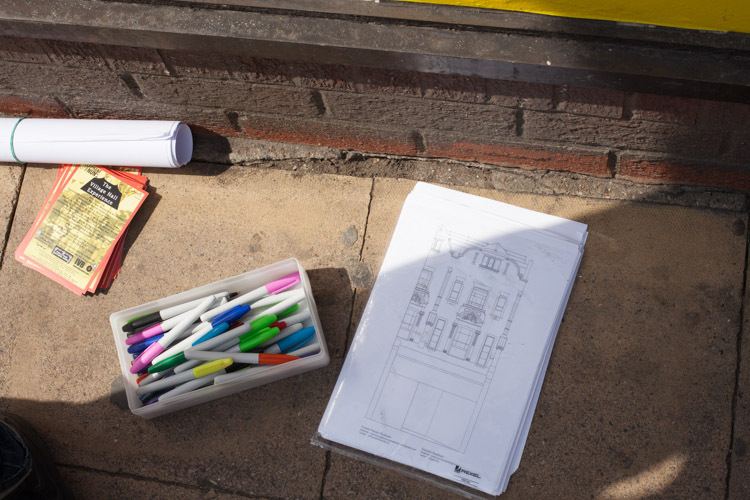 On Thursday 8th August we collaborated with Garudio Studiage of Peckham to bring their colouring book of Rye Lane the “Nation of Shopkeepers” directly to the street itself. 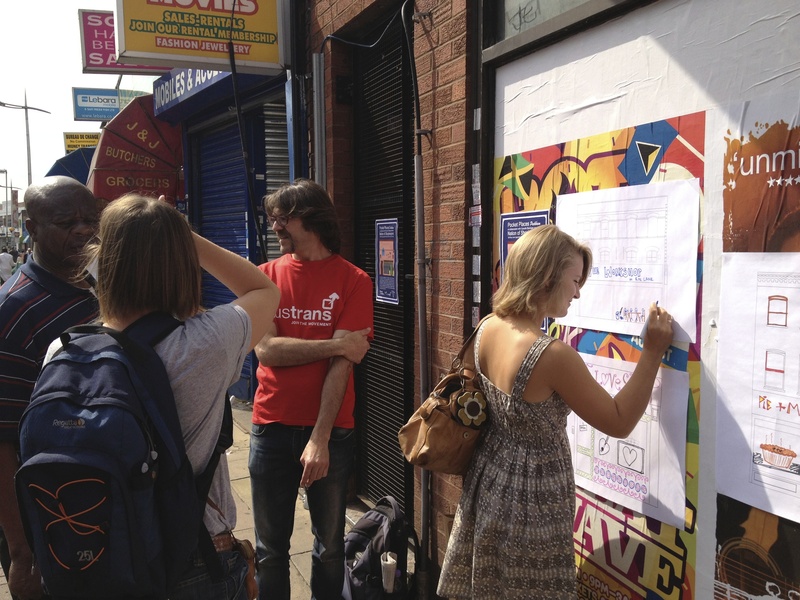 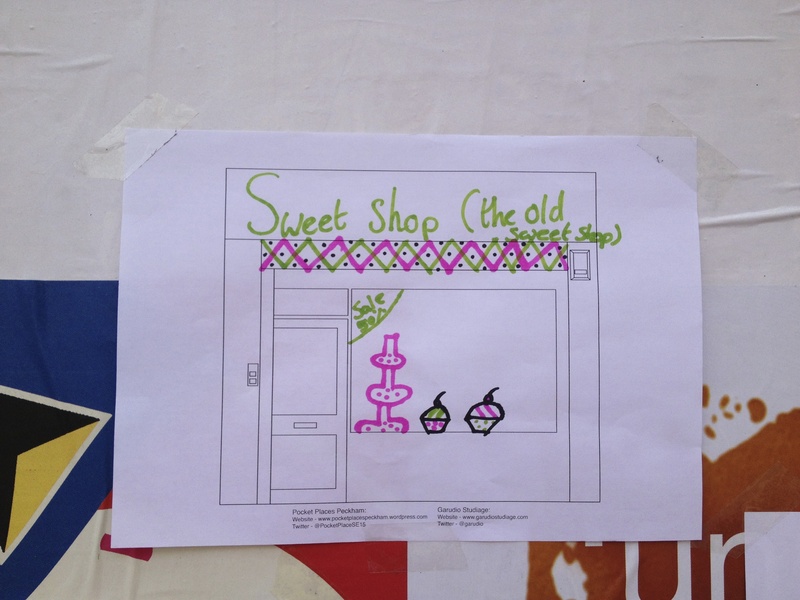 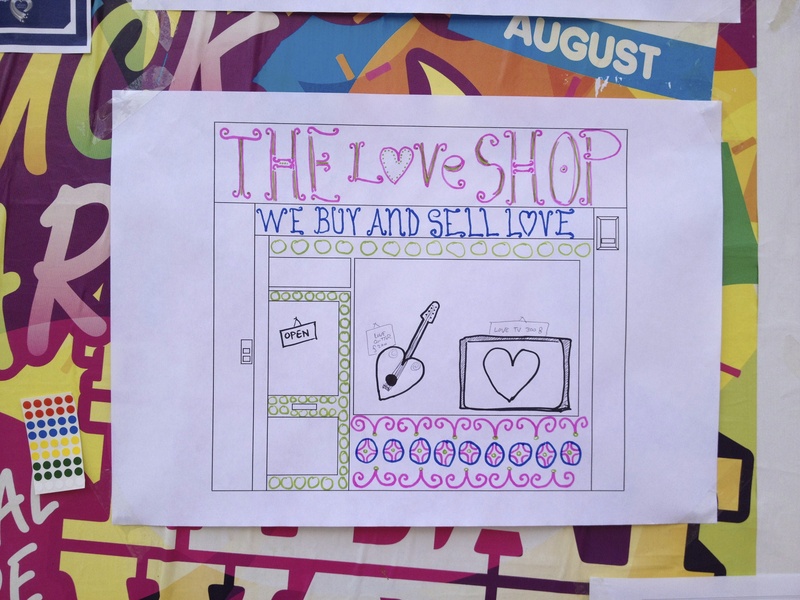 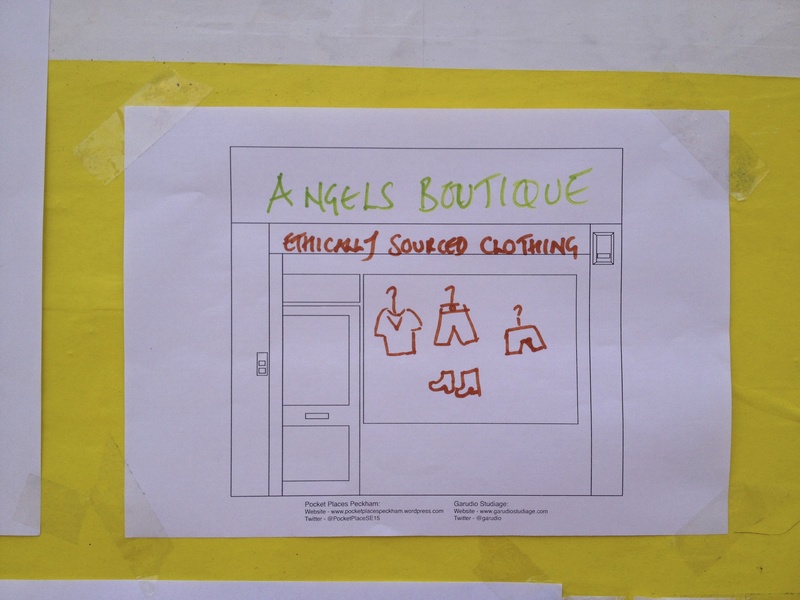 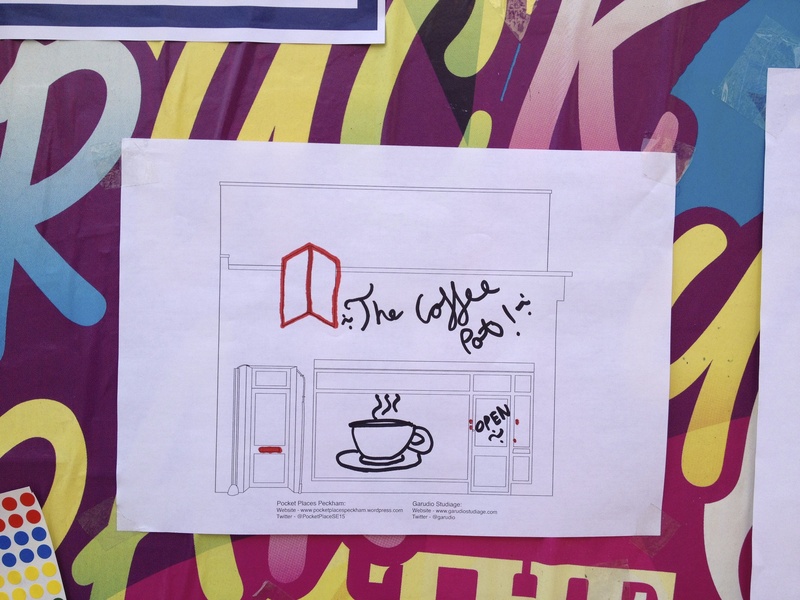 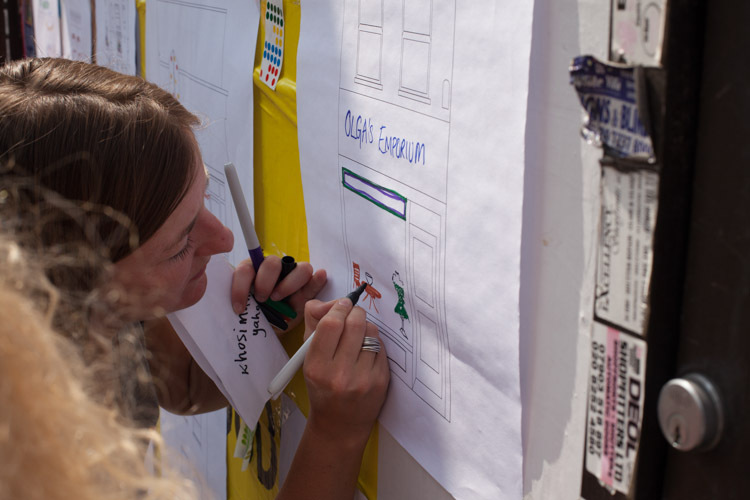 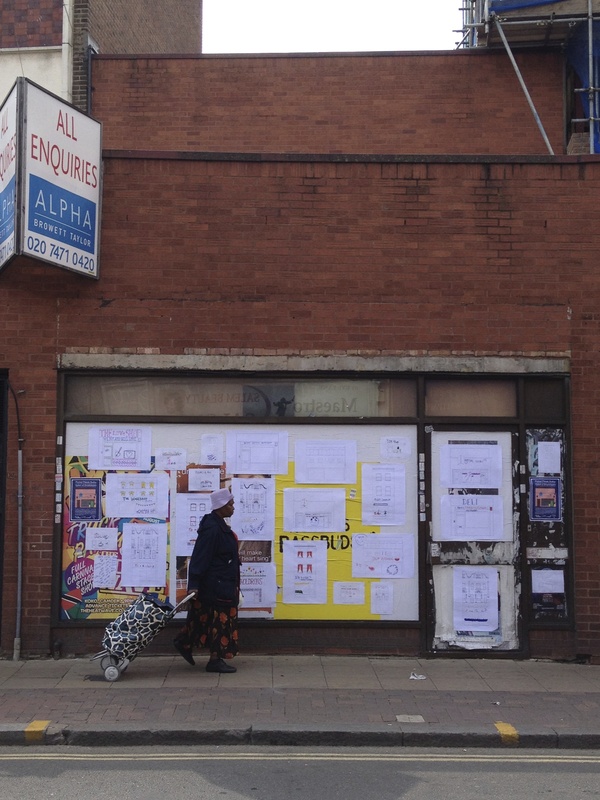 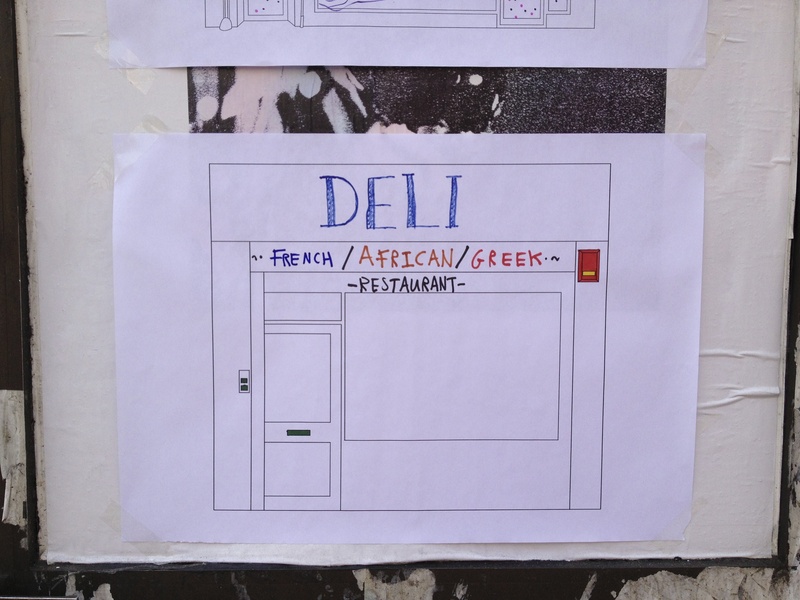 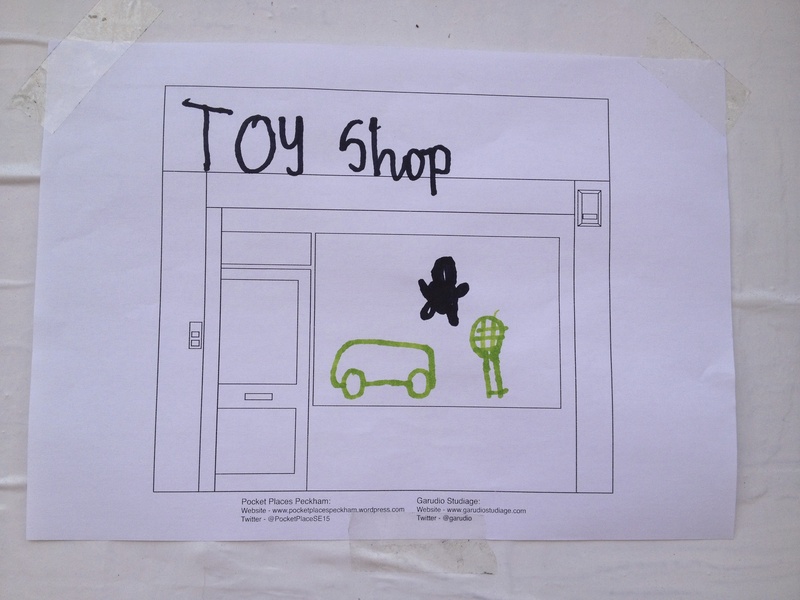 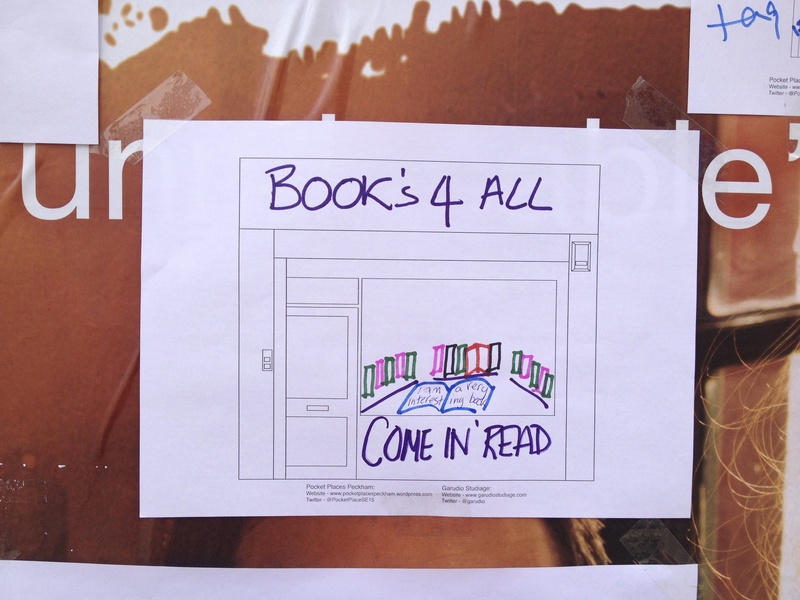 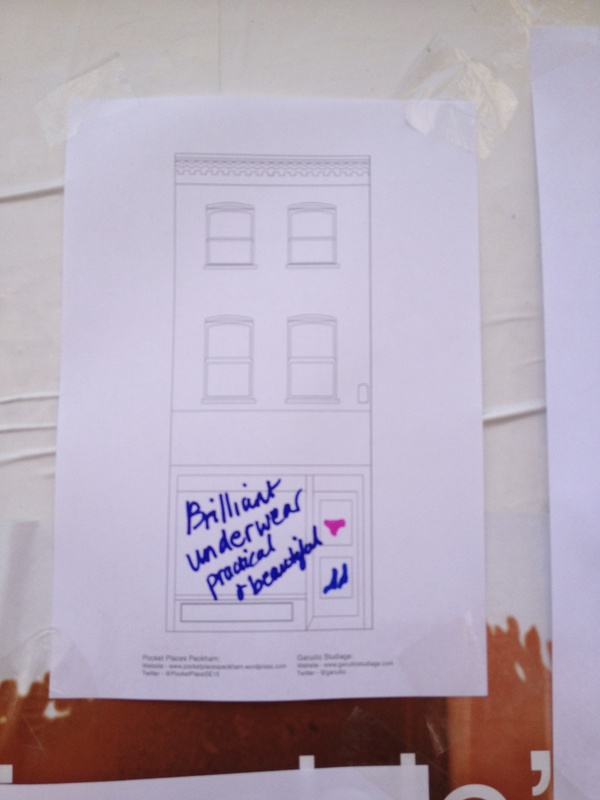 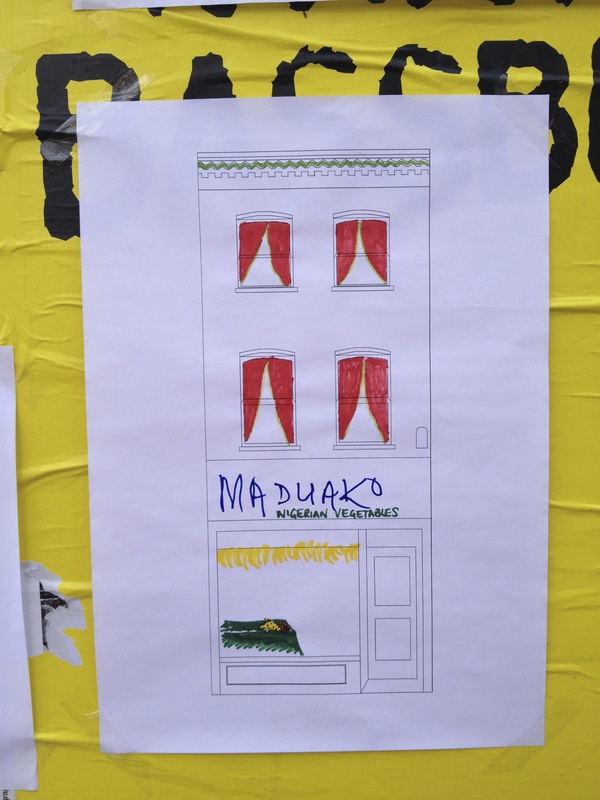 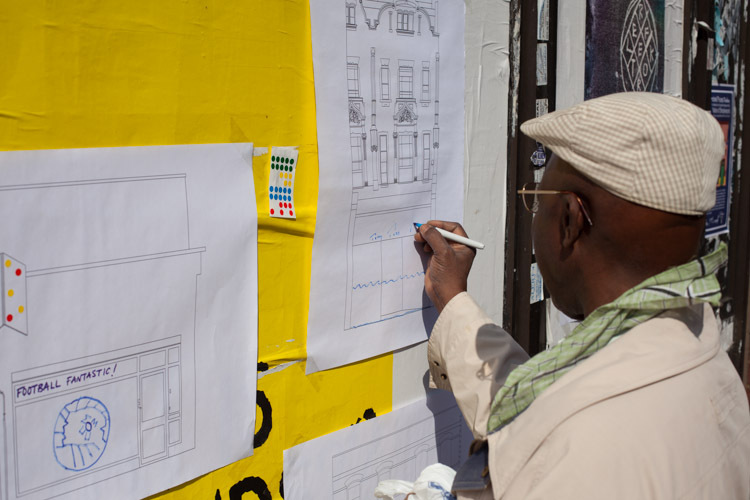 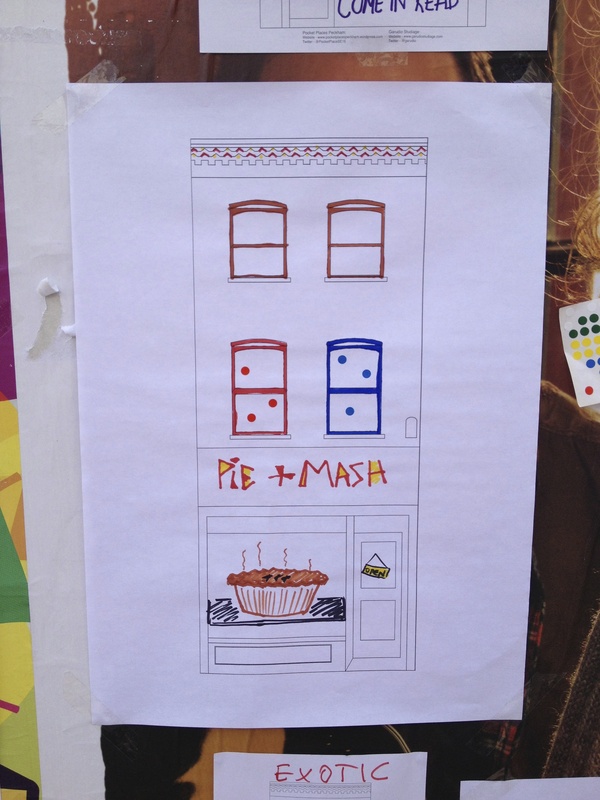 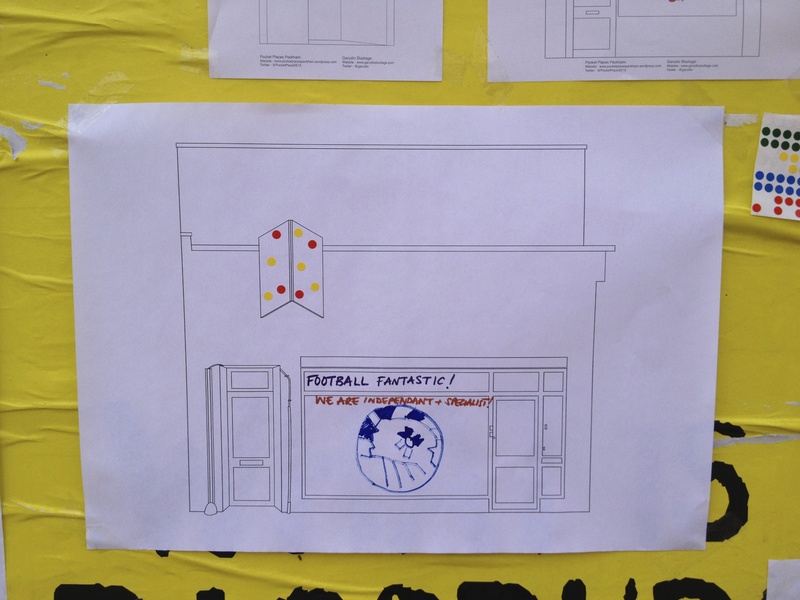 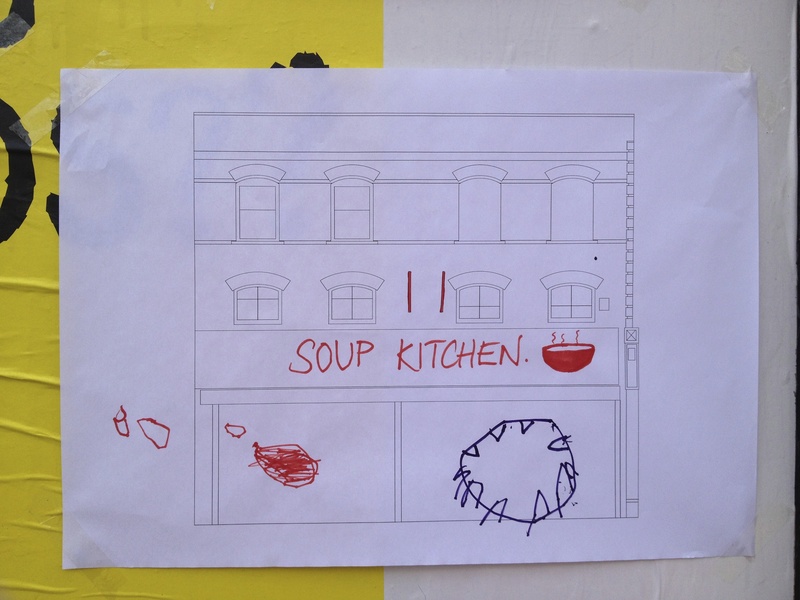 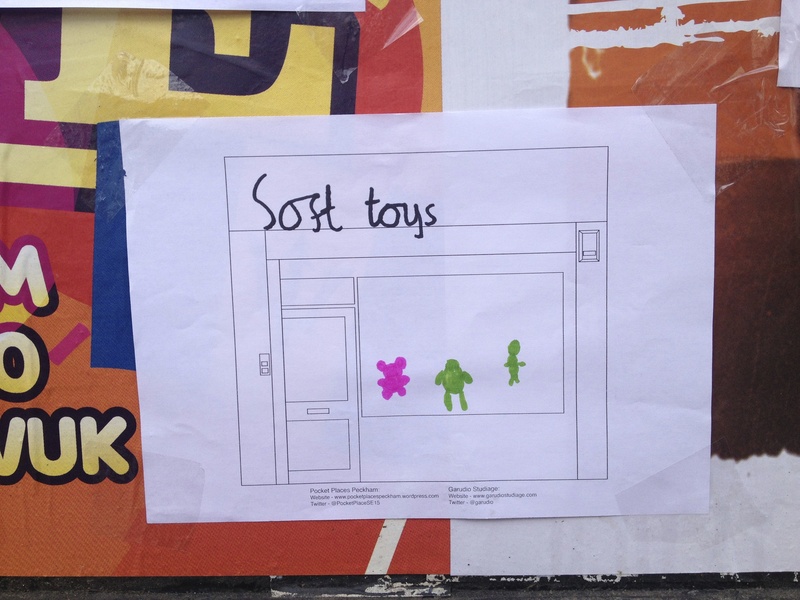 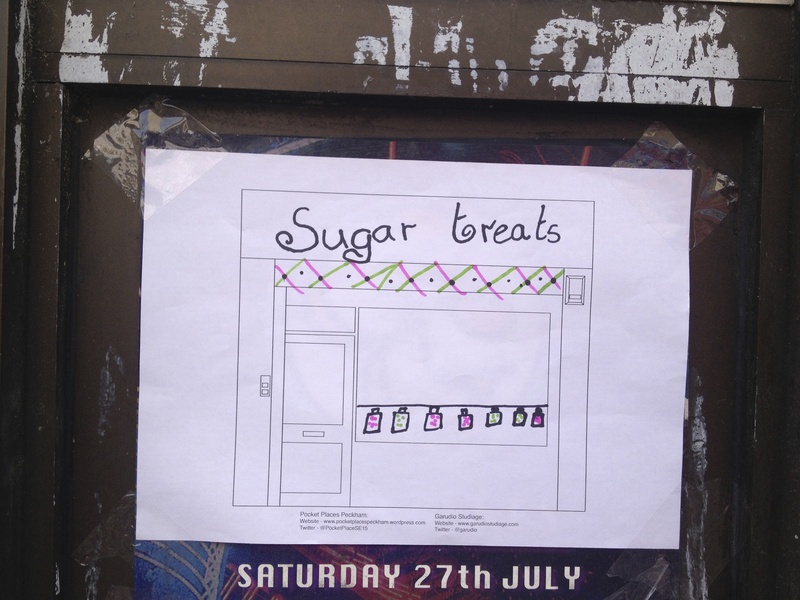 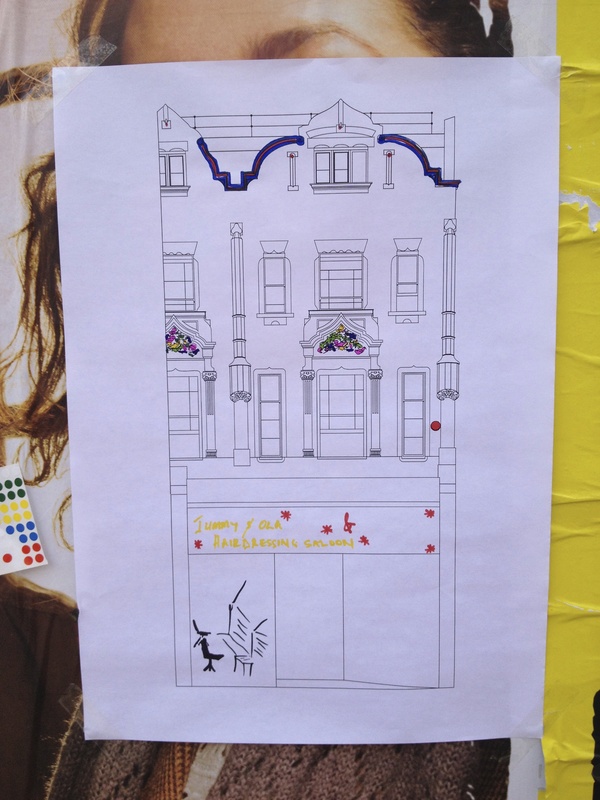 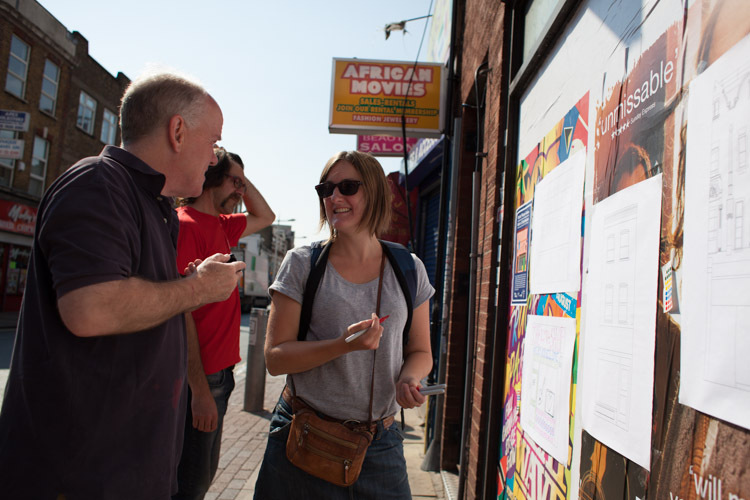 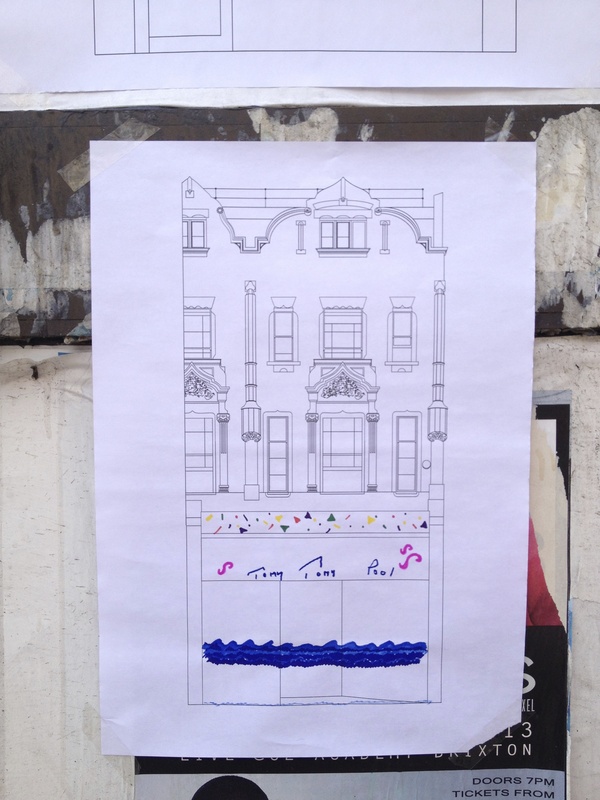 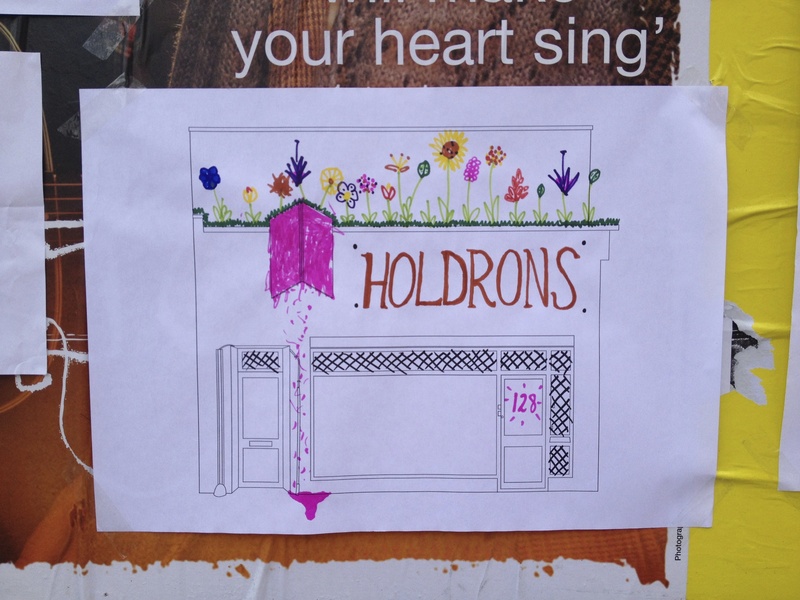 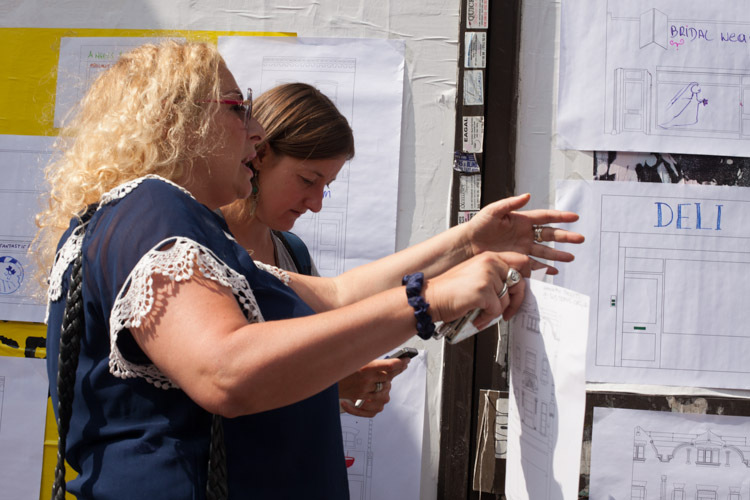 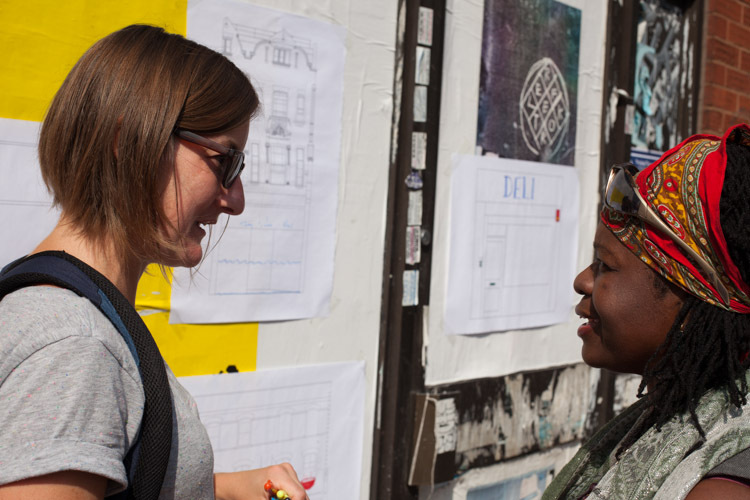 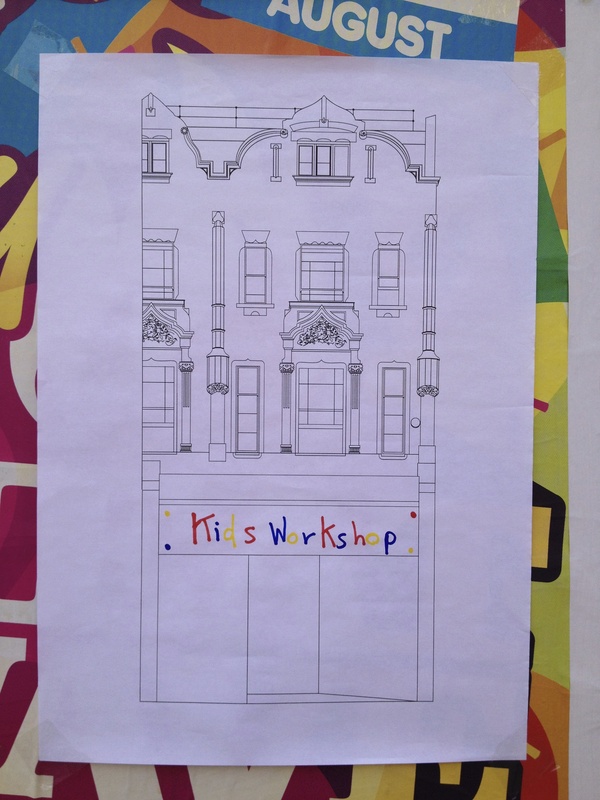 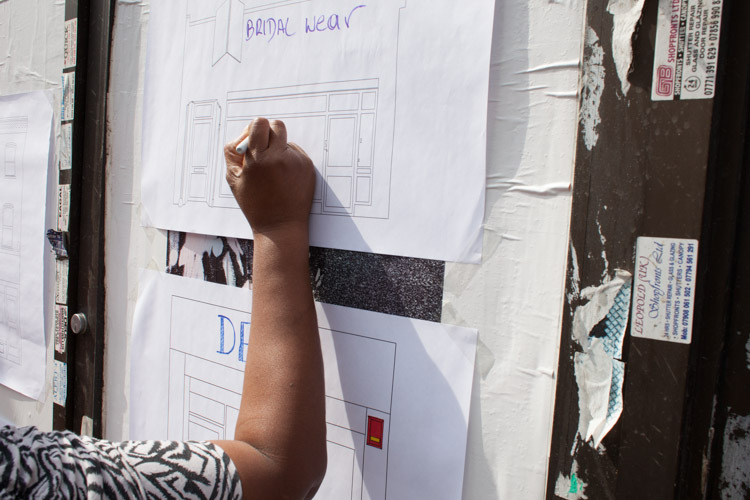 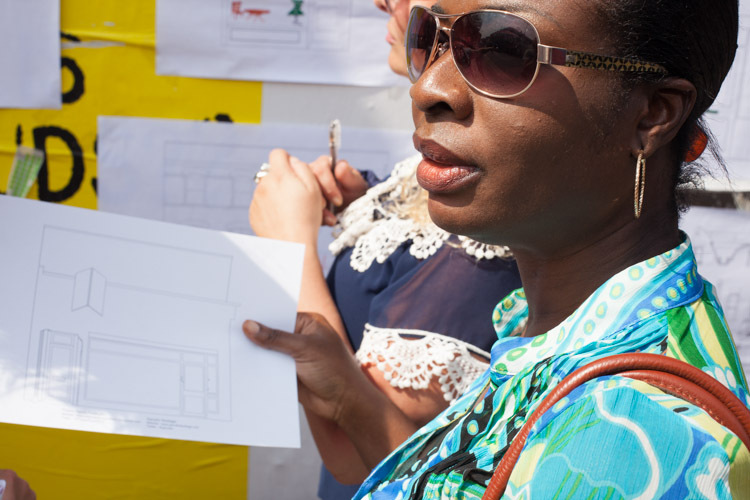 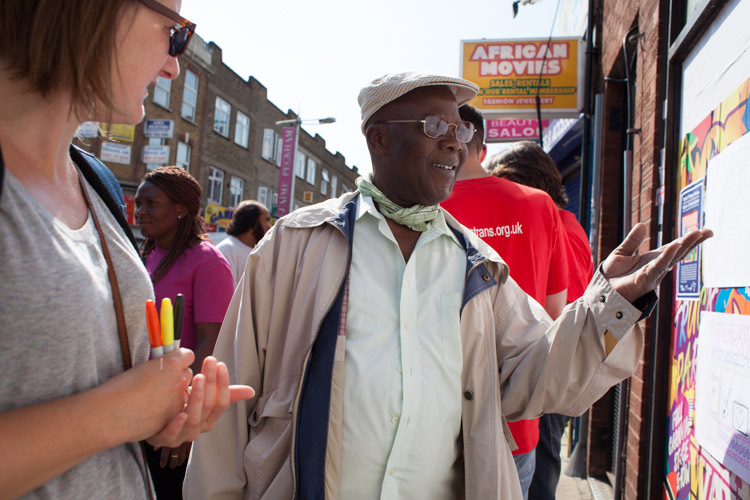 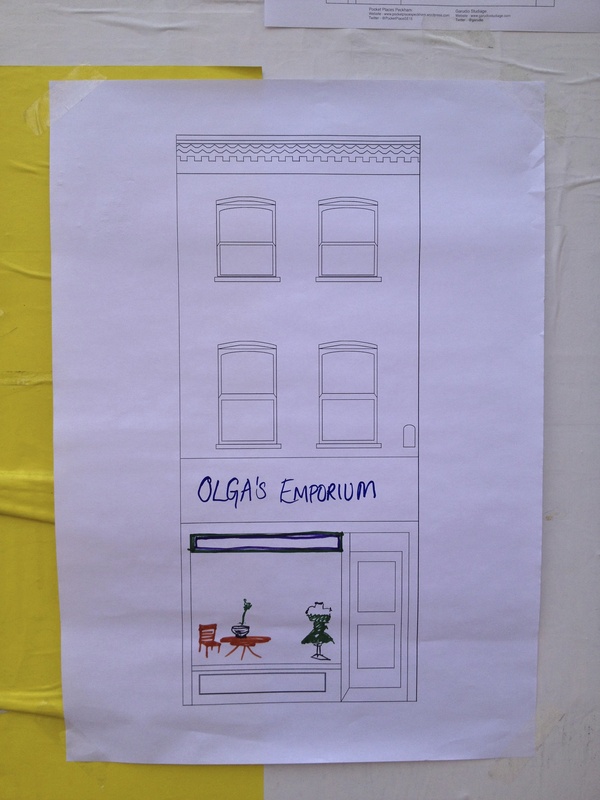 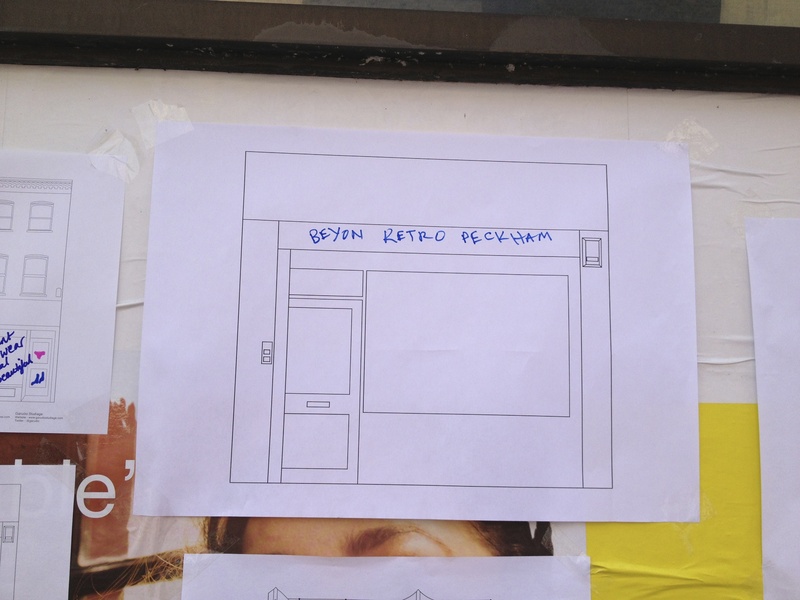 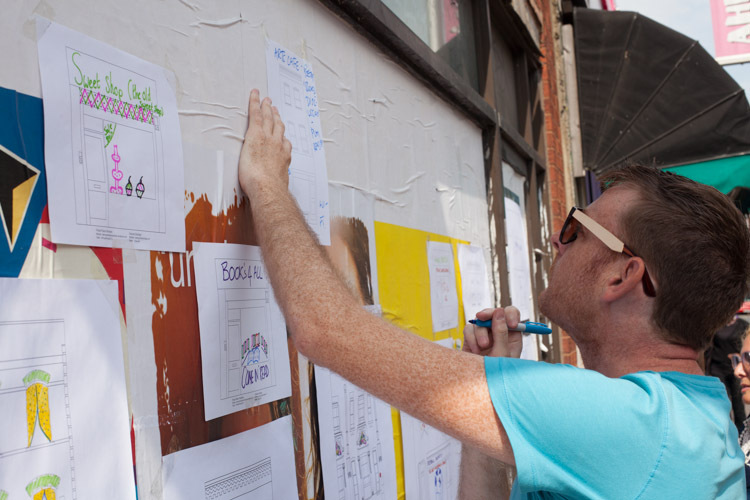 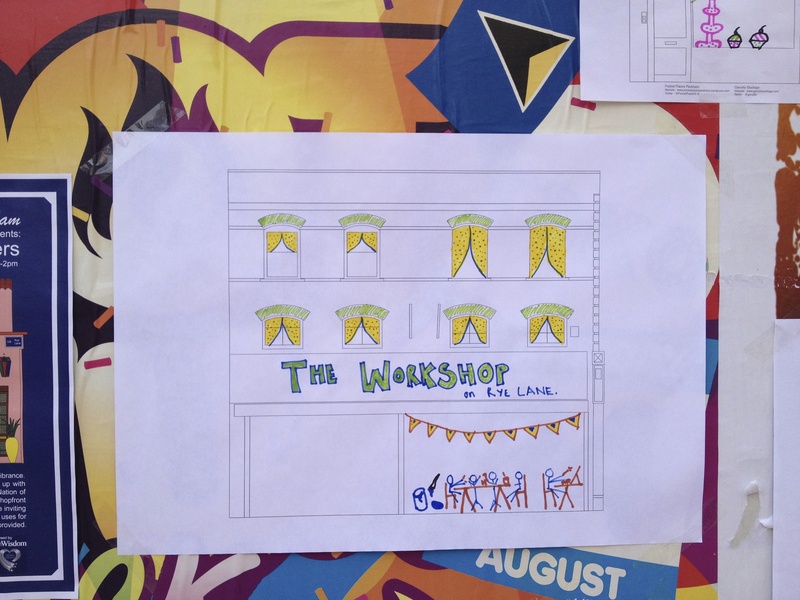 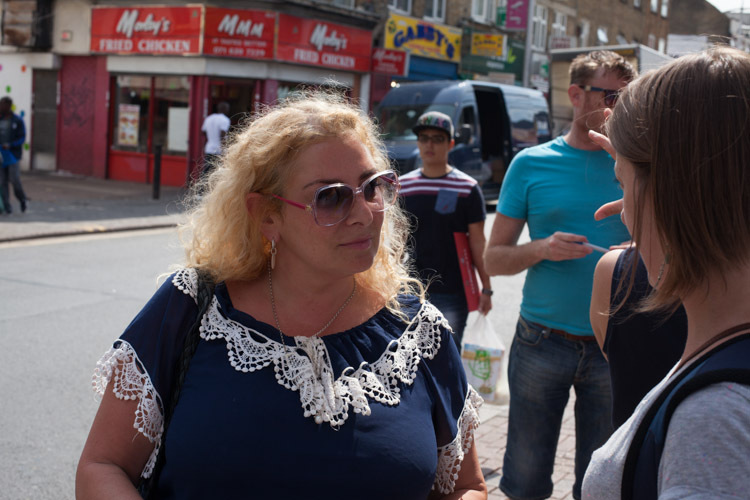 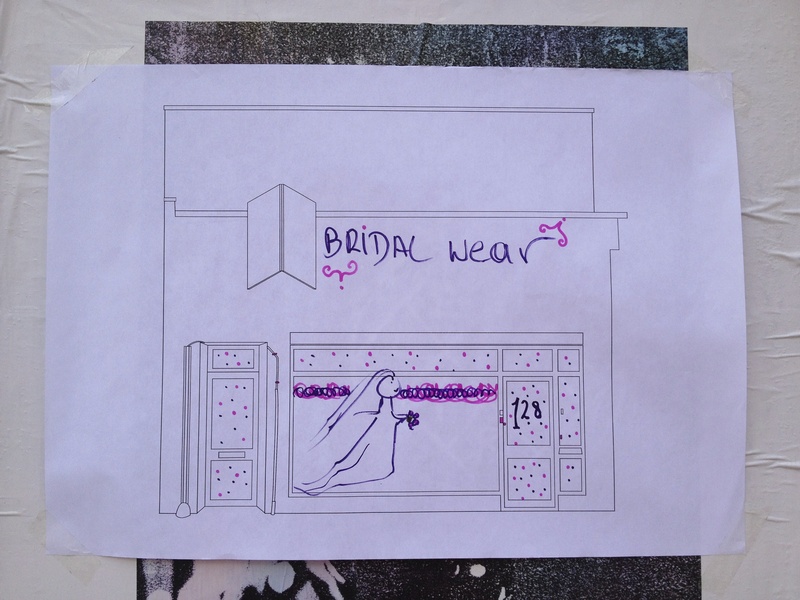 Using blown-up illustrations of only the vacant shop units along Rye Lane, we encouraged people to get involved by drawing up their dream shopfront. 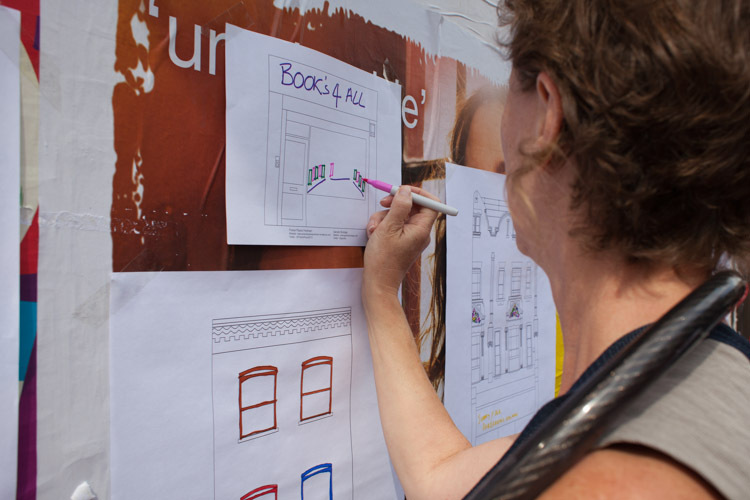 The more imaginative the better, we wanted to use this exercise to spur a positive change of perception about the area among the people who use it most. 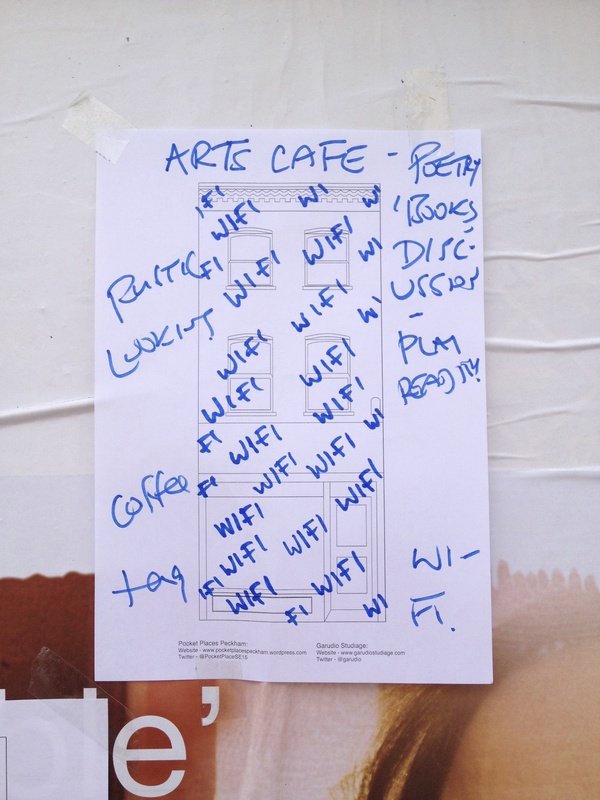 We weren’t disappointed with the results and so here they are for us to share with you – enjoy! 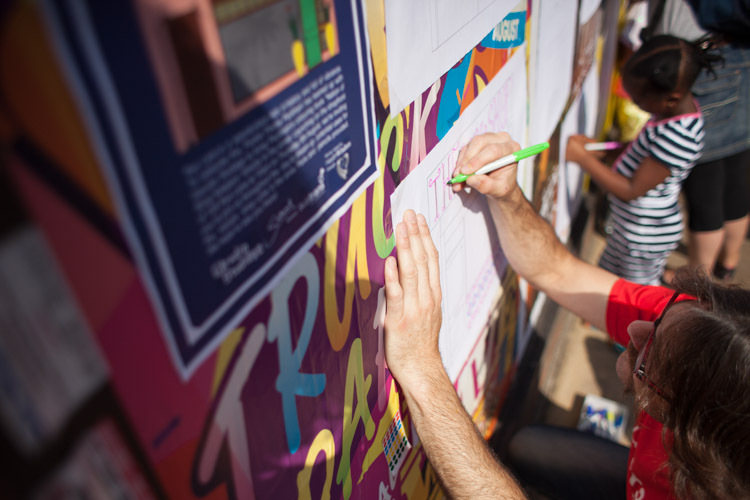 A big thank you again to everyone who participated on the day and to Garudio Studiage for collaborating with us for this event.